After services at Woodbury Jewish Center the family and guests headed over to Harbor Club at Prime for the bar mitzvah reception. I have photographed this family on another occasion and I unashamedly love this family. I appreciate how expressive and emotionally open they all are with each other. Emotion, expression, intimate family interaction is what I seek out as I work a room hunting for photos. I know this photo will become more valuable as time marches on. 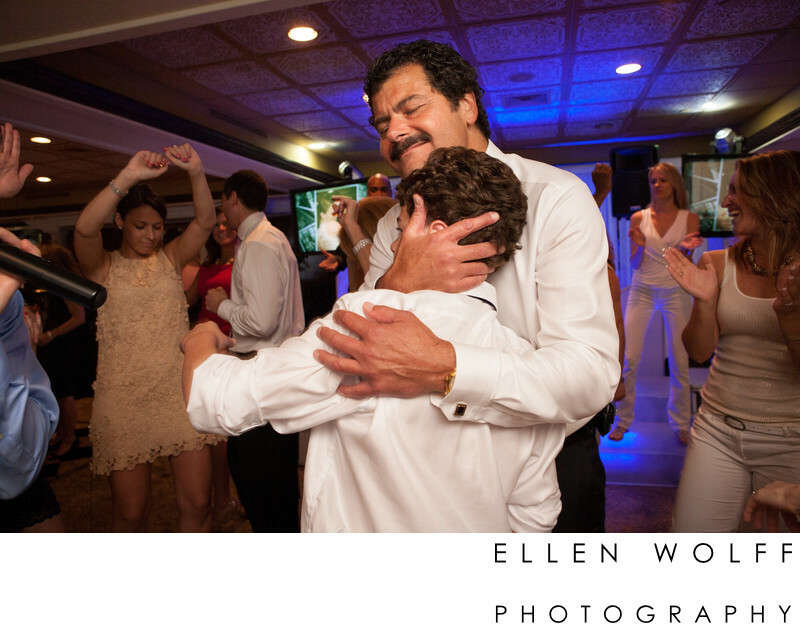 It is a tender moment between father and son on the dance floor. I am moved when I see how much love is in the father's expression and the way he is holding his son's head so close.